The world of industry and trade associations has always played to the gallery when it came to fuel the Indian MICE ecosystem. The plethora of associations in India, with over 100,000 registered bodies, bring unbridled challenges and opportunities alike! A market that swings from a highly organized and professionally managed segment to being downright chaotic! The stakes are high, when its stakeholders make up the numbers like only India can sustain. The industry is complex, multi-layered and a lifeline for convention destinations! Managing associations to deliver events also comes with an innate skill of man-management, where you play the guide, devil, and soothsayer. Committees get formed, WhatsApp groups get activated (which appears to be the latest model of superior communication technology to add to the chaos), venue checks leading to more meetings, all in the heavenly manna to facilitate a fool-proof execution! The process of hotel reservations gets into the act, with bidding hotels plying their trade to play the venerable host. Activating a MICE business for a hotel means an enormous balancing act with the Revenue Managers attempting to play god, while the Head of Sales gunning for the volume game. 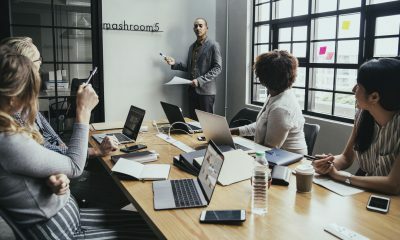 A welcome change with hotels and with MICE gaining traction is having to dedicate specialized sales personnel to handle the needs of this sector. The earlier, one-size-fits-all mechanism is thankfully a thing of the past! Most American hotel brands in India have already taken the lead of creating a MICE Sales Head at most stations. It’s just a matter of time when Indian brands such as the Taj, the ITC, and the Oberois join the bandwagon. With more hotels being built on a multi-use platform, with retail, commercial and residential inclusions, the value of an event space marketing team will only get more credible. Hotels have long got away with not paying any remuneration or commissions to Professional Conference Organizers (PCOs) and event management companies who facilitate the event. The Food & Beverage component in India forms a big part of the event experience and the PCO has to be incentivized. Most hotels claim that it would be against ‘Hotel Policy’ to incentivize accrued Food & Beverage business; but, without remunerating the via-media, it would be a matter of time the PCOs look for alternatives! Hotels have off-late preferred to eliminate the agency and go the full hog direct with the association. As a global trend, the hotel and airlines industry is probably the only industry that wants to do away with the channel partner model. One of the key challenges for the association business in India is that it is highly information challenged. There is no single authority, where association or industrial events such as annual conventions, symposiums, trade fairs, and conferences are calendared. Even the India Tourism-supported Indian Convention Promotion Bureau does not have such data on its site. The next question: What will a city convention bureau bring to the table? Every city already has a plethora of associations representing the travel trade. Convention bureaus bring the MICE industry as a focus. The Ministry of Tourism still considers MICE as a niche segment along with Adventure and Pilgrimage. The convention industry is no longer just a mere niche segment, it is part of the city’s economic cycle. Creating a marketing body to get more events to your city will help, nurture and market MICE investments in the city. There have been a couple of bureaus in place but run more like private clubs, with ridiculous high-entry barriers. Open the bureau to every stakeholder the industry begets. Having a thriving and energetic bureau will only add tremendous value to the city’s and state’s marketing efforts. The bureau will bring prominence to the segment. You catalyze marketing growth and focus on what you presently have and not necessarily be a wailing board! 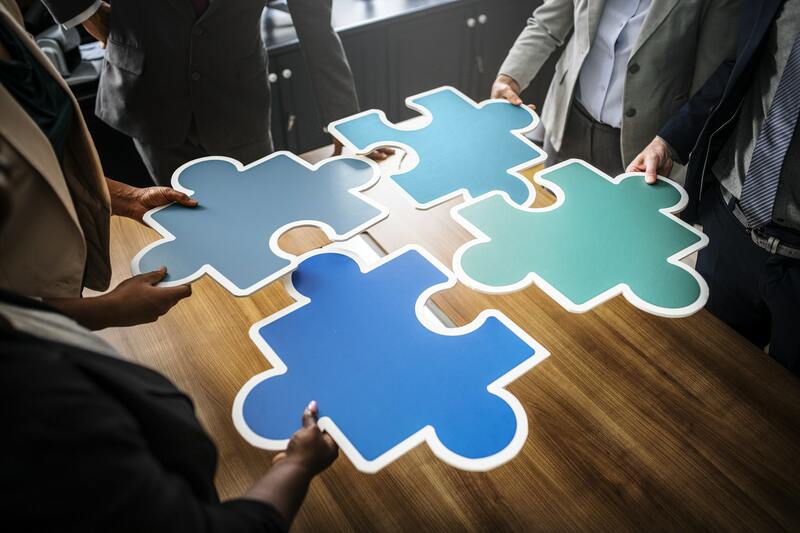 Professional bodies have now emerged to manage associations across sectors, and this will add tremendous value to create an enhanced meeting opportunity eventually. Aerocity in New Delhi with a formidable line-up of hotel brands have recently formed the Aerocity Convention Bureau, which is a fine example of destination marketing for MICE. This brings scale while pitching for an event. The attributes of the destination such as an inventory of over 5,000 rooms, varied meeting venues, shopping arena, etc all within a walking range help highlight the destination as a cost-effective and convenient one to discerning event projects. Similar high-venue density regions such as Whitefield in Bengaluru or South Mumbai (consisting of Nariman Point, Colaba, and Cuffe Parade) or New Town in Kolkata should have their own marketing body. The marketing aspect of Business Tourism is a non-starter in India. Other than a couple of city-based convention bureaus (which are run more like a private club with exorbitant entry barriers), they seldom have a structure to help pitch for an international event in India or assist in creating a bid document. Being one of the fastest growing markets in the world and India being on almost every marketeer’s wish list, we should not lose events being hosted in India for the sheer lack of ‘bid document’ expertise. There are more than a dozen international association and MICE events and you have hardly much participation from any of the Indian state tourism departments or its stakeholders. It would add value to be part of at least a couple of events to start with. This will help set a city-based convention bureau. Business travel in the form of events brings taxes and employment to the state and with every MICE traveler contributing almost twice as a leisure tourist, this is surely a segment to put one’s moolah in. Research bodies have always been a trendsetter for conventions hosted in India, with the medical and pharmaceutical industries right behind them. A partnership mechanism to create a sustainable eco-system will enhance its organizational and marketing worth. Meeting Infrastructure: China has 92 purpose-built exhibition sites spread over three million square meters. India has just 12 exhibition venues that occupy barely 2.6 lakh square meters of space. India is 40% of China in terms of the size of the economy, but in the exhibition’s infrastructure sphere, we are only 9 percent of what China does. Germany, on the other hand, has over three million square meters of exhibition space, which considering India’s exhibition industry, is on a different planet altogether. With longer gestation periods, no convention centers make money on the quick run. It is up to the City Municipal Corporation to ensure that we create world-class convention facilities. With increased footfall, increased tax revenues and adding a new employment engine, the city eventually benefits more. With so many mega industry bodies like FICCI & CII, who now have changed their avatar from being trade bodies to be in the business of organizing trade fairs and event managers, surprisingly, you do not yet hear a call from them to compel governments to create a ‘Convention & Exhibition Infrastructure’ policy. When governments become your biggest clients, it makes more business sense to be quiet. The Indian industry, irrespective of their sectors and verticals, need meeting infrastructure more than the lamenting tourism industry. The current ‘Make in India’ mania is useless, if we do not have avenues to display and exhibit to a global audience. The Indian Association industry network is a vital cog in the wheel of the Indian MICE ecosystem and needs a lit bit of TLC and a big kick in the rear to push it to new heights! Dusit Thani Abu Dhabi recently played host to TAFI 2018. 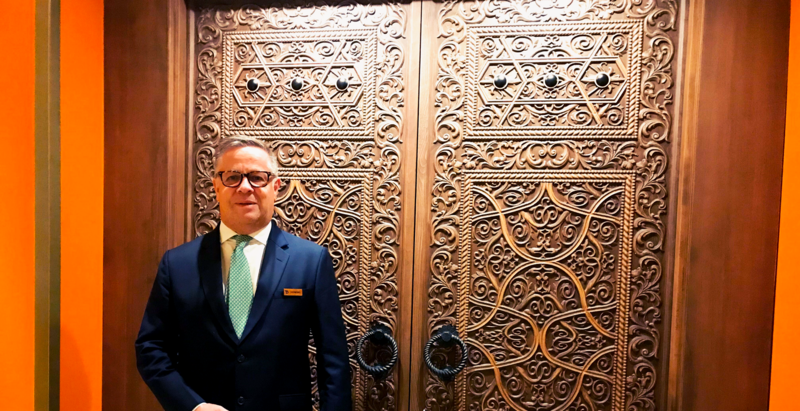 Desmond Hatton, General Manager, Dusit Thani Abu Dhabi, dishes on what the Thai brand is doing to emerge as the most sought-after MICE venue in the UAE. What makes Dusit Thani Abu Dhabi an ideal conference and events venue in the city? Dusit Thani Abu Dhabi boasts of a state-of-the-art meeting and events space measuring 3700+ sqm with a large pre-function area and a unique ‘Sky Dome’ feature. The hotel is strategically located in the city’s key business district and is in proximity to the international airport. Owing to the easy accessibility for conference delegates, the hotel has carved a niche for itself in the MICE space. Albeit having a spacious main lobby, the hotel has a dedicated entrance to cater to big conferences, events, and exhibitions. How important is the outbound travel segment from India to the UAE? How is your hotel brand leveraging the potential from the Indian market? Outbound travel from India is incredibly important for the UAE, especially the destination Abu Dhabi. The brand Dusit Thani is making all efforts to get its fair share through a much targeted promotional strategy. Working closely with the Department of Culture & Tourism (DCT) is integral to the property’s marketing approach. Being the hotel partner for TAFI Convention 2018 is a step in the right direction that speaks volume about the hotel’s synergy with the local tourism authorities. In addition to it, the property is on the verge of launching an Indian cuisine restaurant, Namak by celebrity chef Kunal Kapur. Times are indeed exciting at Dusit Thai Abu Dhabi. 2018 has been a tough year for the hotel industry in the UAE. Several new properties came up in the Emirates. How promising is 2019? The year has been a mixed bag of misses and hits for the hotel industry in general. The recent opening of Louvre Museum did give a positive start to the destination in 2018. The city witnessed a surge in tourist arrivals in the first quarter. Overall, limited demand and increased hotel inventory did take a toll on the city’s average occupancy and rates in the current year. Nevertheless, 2019 looks relatively buoyant. With the unveiling of the Warner Brothers, rigorous efforts of the local tourism board and reduction in local taxes, the region’s hotel industry is poised to bounce back. As Special Olympics is lined up in 2019, the city is expected to attract 10,000+ participants which will definitely stimulate the market. What are the key trends in leisure travel from India to the UAE? The airline connectivity to the UAE from India has improved significantly in recent times. The emergence of LCC airlines (Low-Cost Carriers) bound for UAE from Indian shores has made it easier for travel agents to formulate attractive holiday packages. For instance, Indian origin LCCs such as SpiceJet, Indigo, GoAir, and Air India Express has tremendously facilitated the leisure travel. Another trend relates to stupendous growth in the last minute bookings. The spurt of last minute booking websites has made it seamless for travelers to book their preferred holiday deal at the eleventh hour. The advent of digitalization has made the whole exercise of holiday planning months ahead a complete passé nowadays. Have you noticed any interesting trends in corporate travel from India to the UAE? The shared economy is here to stay and is becoming a norm in the corporate travel industry of the UAE. Companies are now smarter when it comes to slashing corporate travel costs. To optimize expenses, the corporations of the world have started using Uber and Airbnb extensively. Another interesting trend is the blurring of lines between Business and Leisure, resulting in this phenomenon of “Bleisure Trips”. Corporate travelers are making the most of their trips to explore the local area, experience the culture and even invite family along to join them. Companies embrace this approach as it is a saving of money on both business and leisure travel, and, at the same time, help business travelers to relax and enjoy on their trips. How promising is the MICE segment for the UAE from your perspective? Technology has redefined the MICE segment to a great extent in the UAE. Use of wearable technology gadgets has revolutionalized the way delegates communicates onsite during a conference. Smart watches, RFID delegate tags (Radio Frequency IDs), customized conference digital wallets and e-participation toolkits have made it easier for the meeting organizers to schedule events. MICE is now recognized as a niche segment in Abu Dhabi. This has even resulted in the opening of a dedicated government office (i.e. Abu Dhabi Convention Bureau) that promotes the Emirates’ capital as an ideal MICE destination on the global map. How well-positioned is the UAE to make its mark as the most sought-after MICE destination? 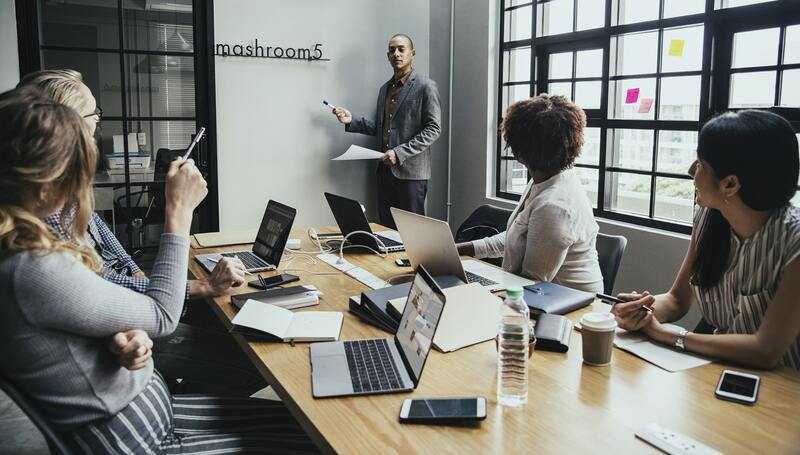 The regional MICE business has reportedly been witnessing a growth rate of 5.5% annually in meeting attendance since 2000, led notably by the UAE market, followed by Saudi Arabia and Oman. Dubai is host to almost 27% of all events staged in the region. Abu Dhabi, on the other hand, generates USD 700 million from its MICE sector and is forecasted to grow at an annual rate of 7% to reach USD 1.4 billion by 2020. (Source: Yas Island MICE Conference, 2017). The UAE is one of the safest destinations in the world and has set a great example in that direction. Geographically too it enjoys a strategic location between the East and West with over 2/3 of the world’s population living within 8 hours flight from Dubai and 1/3 lives within 4 hours. The developments in terms of infrastructure in the UAE, connectivity, and facilities taking shape for Dubai Expo 2020 will further boost its global and regional positioning as a MICE destination. What are the challenges that your brand is facing at the moment? Limited demand and an ever-increasing inventory of hotels have always been a challenge which has led to rates correction in the Abu Dhabi market. With lower rates, the hotels in the five star and luxury segment have tremendous pressure to sustain quality standards and continue to deliver exceptional guest experiences. Another challenge has been the area of the guest loyalty program. In the wake of recent mergers and acquisitions in the global hotel industry, especially Starwood & Marriott, other hotel groups have to brace for stiff competition against the consolidated and much larger loyalty programs. What kind of problems have you successfully tackled? Given the challenge of ever-changing technology in MICE particularly, Dusit Thani Abu Dhabi has embarked on an ambitious audio-visual upgrades project across the onsite meeting and conference rooms. The project involved installation of interactive touch screen smart boards and large size professional LED screens (4K clarity; measuring 98”) in the small meeting rooms while placement of big digital screens is planned for Onyx ballroom in the second phase. This new technology has enabled business delegates to seamlessly carry out their meetings at the hotel. Could you shed light on a few loyalty programs that you have? Dusit Thani Hotels & Resorts has a unique guest loyalty program called “Dusit Gold”. In fact, the hotel prefers to call it a “guest recognition” program, something that means much more than just a guest loyalty program. Designed to reward and enrich every guest stay at any of the Dusit’s finest participating hotels and resorts worldwide, the Dusit Gold program places utmost importance to personalization and recognition the moment a guest walks through the hotel doors. Discover more about the program on DusitGold.com. How are you interfacing with customers via digital? The hotel has a cutting-edge strategy in place when it comes to tapping all essential digital mediums. Social media channels are closely monitored and capitalized upon to reach out to a targeted audience. Also, the hotel manages its own database of over 60K+ and keeps existing and potential guests updated about latest happenings and developments. Implementation of LED screen project in the meeting rooms, adds another feather in the digital space enabling guests to connect faster and in a more effective way. What kind of partnerships/tie-up do you already have or are looking at? Being part of an international group, the hotel enjoys active partnerships with leading airlines, banks and financial institutions. Collaborations struck with leading players in the OTAs and e-distribution space also help the hotel to optimize leads and channelize revenue through multiple platforms. In 2019, the hotel intends to work more closely with Department of Tourism & Culture to seize relevant opportunities and promote both destination and the hotel in the run to Expo 2020, which will certainly have a spillover benefiting Abu Dhabi market. What strategies are you implementing to position brand ‘Dusit’ as the preferred property for guests? With 25,000 sq ft of banqueting space, the hotel has one of the best MICE facilities in the city. 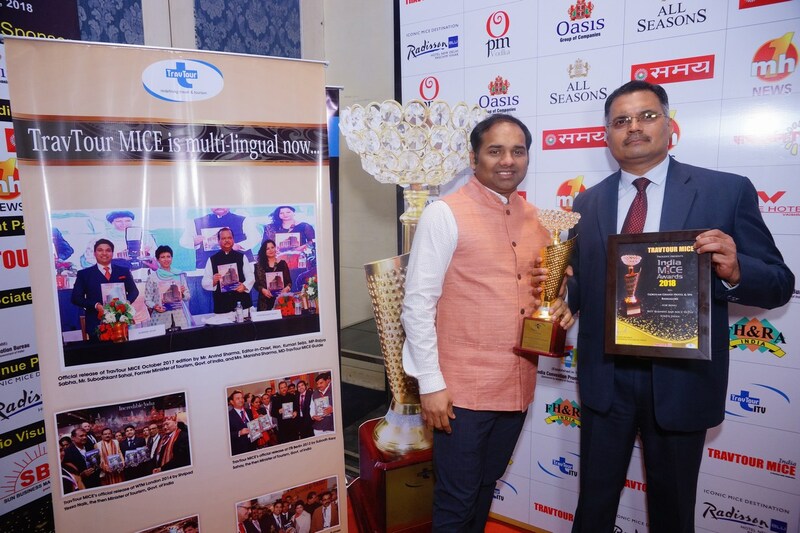 Gokulam Grand Hotel and Spa, Bangalore, has bagged the ‘Best Business and MICE Hotel South India 2018’ during India MICE Awards held at New Delhi recently. The award is an acknowledgment of its sprawling 25,000 sq ft of banqueting facilities and stellar service. The star-studded event saw in attendance the best of hospitality, travel, and tourism – across brands and corporates alike. 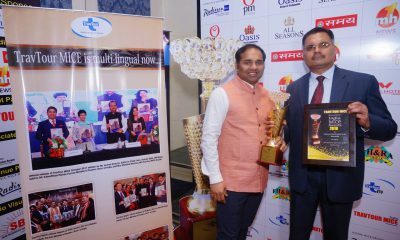 Baiju Gopalan, Executive Director, Gokulam Group, said, “This is the first award for us since we have stepped into Bangalore, a testimony to our spirit and ambition as we expand our footprint to the rest of the country. This encourages us to keep setting the bar high for the brand”. 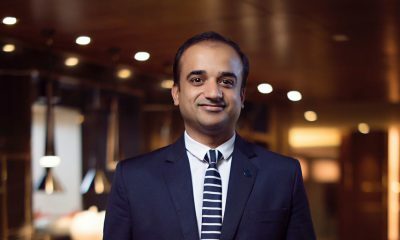 The hotel began its operations in 2011 under the brand name of Movenpick Hotel and Spa Bangalore; a strategic partnership between MSR Hotels Pvt. Ltd and the Swiss Hospitality giant Movenpick Hotels and Resorts. The 182 room and suites’ hotel boasts of well-known F&B outlets namely My Place All Day Dining, 24-hour coffee shop and Obsidian Sports and Music Bar. Pool, Sohum Spa, and Aasman gym are its lifestyle facilities available for guests and patrons. With 25,000 sq ft of banqueting space, the hotel has one of the best MICE facilities in the city. Since 2011, the hotel has grown from strength to strength and with the new management team coming in, a new growth phase for the hotel is being charted out.